Martin studied at the Royal Northern College of Music with Anthony Roden and is currently learning with Justin Lavender. As a concert soloist Martin has worked with choirs and orchestras throughout the UK & Europe. Recent concert engagements have included Beethoven Missa Solemnis (Reading Festival Chorus), Orff Carmina Burana (Grimsby Philharmonic Choir), Mozart Requiem (Oxford Philomusica), Bruckner Mass in F minor (Chippenham Cantata) and Puccini Messa di Gloria (Clacton Choral Society). 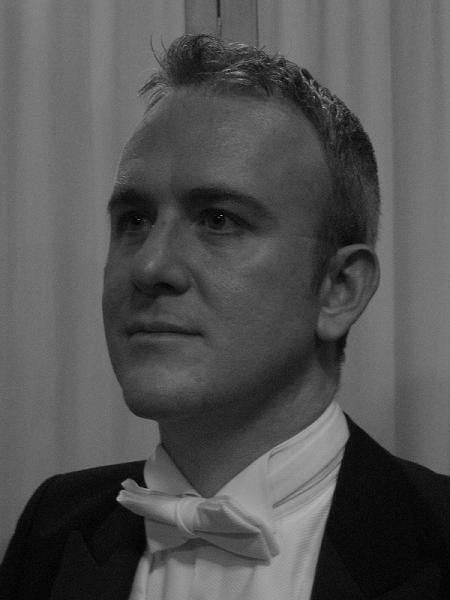 On the operatic stage Martin has worked extensively in chorus and as a principle artist. Most notably he has worked with Spoleto Festival Opera (Italy), Pavilion Opera (Ernesto- Don Pasquale), English Touring Opera (2002 Tour), Opera Box, Swansea City Opera, British Youth Opera and St. Alban’s Chamber Opera (Fenton- Merry Wives of Windsor). Martin has recorded for Chandos, BBC Music Magazine, BBC Television and appeared at the Classical Brit Awards 2000, 2002 and 2003. Rossini Petite - Messe Solennelle ( St. James’ Singers, Warwick- Warriner Choral Society, Oxon).